Super Flat Mustard Seed Need Help? The Flat Top shape is a modern take on classic acetate sunglasses, with a straight line and crisp clean edges. 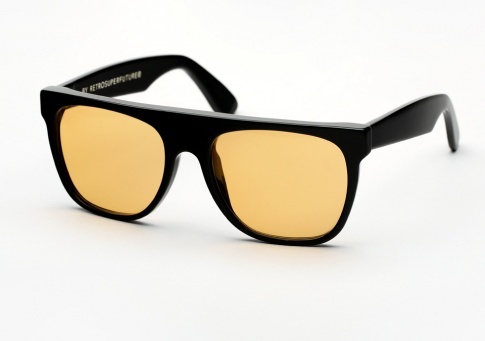 It is offered here in shiny black acetate juxtaposed with semi transparent "mustard seed" colored lenses.